Cardiovascular disease is considered to be the number one killer worldwide by the World Health Organization. 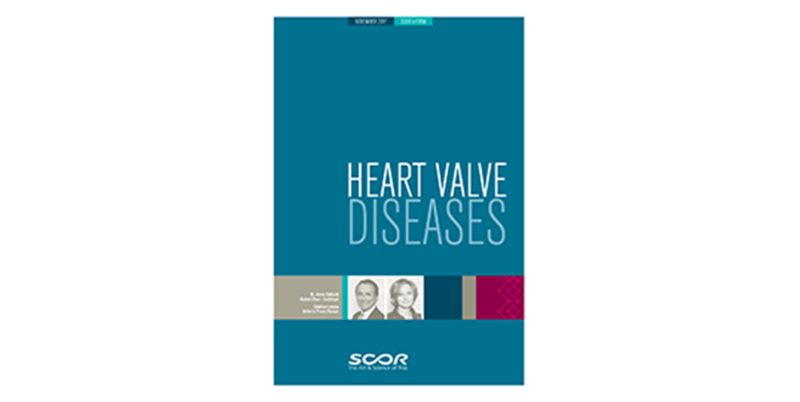 On World Heart Day, Dr. James Kadouch, Medical Director for SCOR Global Life in the Americas, shares insights about disease affecting the heart valves, a growing concern as the population continues to age. The prevalence of heart valve disease in the general population of industrialized countries is estimated to affect around 30 million people. Today, the incidence is much higher in patients aged 75 years and older, affecting 10 to 15% of them. Improvements in healthcare over the past 30 years have contributed to the change in the distribution of valvular heart disease causes. Rheumatic valve disease, which remains the leading cause of heart valve disease in developing countries, has gradually become less common in young subjects from industrialized countries. With the increase in life expectancy, degenerative causes have become more frequent, increasing the likelihood that the number of cases will continue to grow as the population ages. Other causes are possible, but rarer: ischaemic, congenital or due to endocarditis, which is a bacterial infection of the heart valves. 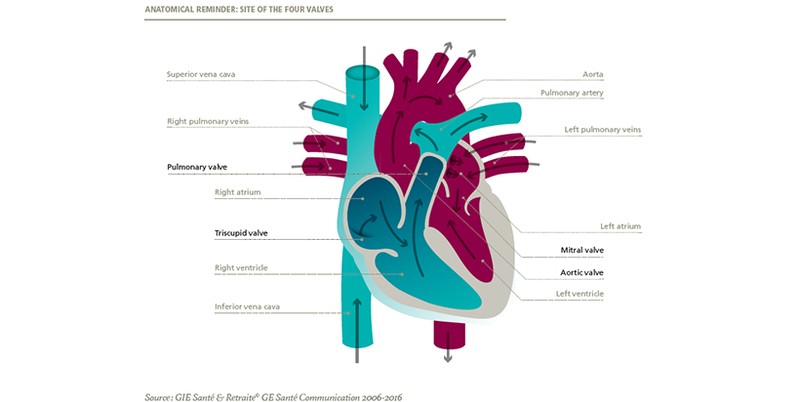 Here are some anatomical and pathophysiological reminders and points for medical underwriters to retain on the three most common types of heart valve disease. What Happens to the Heart when Valvular Disease Occurs? Mitral regurgitation, or insufficiency, occurs when the mitral valve fails to close tightly, which leads to backward leakage of the blood. The mitral valve acts as an inlet valve, allowing blood to pass from the left atrium into the left ventricle. In patients diagnosed with mitral regurgitation, blood is not fully expelled into the left ventricle; some of it leaks back into the left atrium and eventually dilates the left atrium and the left ventricle to cope with the overload. Heart failure occurs when the ventricle becomes exhausted and can no longer accommodate the leakage. Aortic regurgitation, or insufficiency, is caused by the aortic valve leaking blood into the left ventricle instead of fully pushing it into the body for circulation. Aortic valve disease may be associated with dilation of the ascending aorta, an extremely serious complication leading to an in-hospital mortality rate of 25% even after surgery. Aortic stenosis is the narrowing of the aortic valve opening due to obstruction that prevents blood from getting through the left ventricle into the aorta. This obstruction leads to increased pressure in the left ventricle and makes the heart work harder. Over time, this increased resistance creates thickened walls in the left ventricle before it becomes exhausted and dilates. This degenerative condition is most often seen in people over age 70; however, in 15% of cases, younger patients (around age 40) are diagnosed with aortic stenosis due to a congenital defect such as a bicuspid aortic valve. How Can These Diseases be Treated? Whatever the type of heart valve disease, medical treatments only deal with complications (such as heart rhythm disorders or heart failure), not with the valve disease itself. There are currently no medical cures. Surgical intervention to replace or repair stenotic or leaking valves is currently the gold-standard treatment. Although heart valve disease is progressive, discreet or moderate leaks can be well tolerated for decades. Improved diagnosis, monitoring using Doppler echocardiography and progress in surgical or instrumental techniques, such as transcatheter aortic valve replacement, have led to a considerable reduction in surgical risks and improvement in long-term results and the overall prognosis. Approaches to Consider for Risk Assessment?